Home / Blog / Cedar Wood Siding vs. Fiber Cement Siding: Which Is Best? You’re excited about your new construction or replacement siding project, and you’ve done some research. 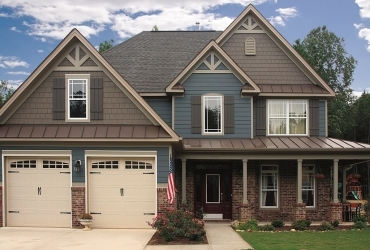 You know you want high-quality siding, and vinyl is definitely not the right choice for you. You’ve narrowed it down to two top-notch options. On the traditional end is cedar, that classic wood known for its rustic look and antibacterial properties. On the high-tech side is fiber cement siding, with its impressive safety ratings and low-maintenance appeal. How do you decide which is the right choice for you? Cedar is a low-density wood, meaning that it’s relatively easy to install. It’s a good insulator for hot or cold weather and provides a good acoustic barrier as well. Cedar’s antibacterial and antifungal qualities mean that cedar lasts longer than cheaper wood siding options, and (providing you check to make sure that the source of your cedar isn’t old-growth forests), cedar is a renewable resource, making it a relatively eco-friendly option. The primary reason most people give for choosing cedar, though, is an aesthetic one. While cedar can be painted any color you can imagine, cedar’s warm color and lovely grain offer timeless appeal. Some homeowners choose to stain their cedar siding, giving it a particular color while allowing the grain to show through. Others leave their cedar siding untreated. This causes it to take on a silver-gray patina over time. The benefits of fiber cement. Fiber cement is a newer form of siding, made of cement infused with cellulose fibers to give it greater strength. The benefits of this unique structure are many. Fiber cement siding is impervious to pests that plague wood siding, including cedar, such as woodpeckers and termites. It will not absorb water and is resistant to warping even in hurricane conditions. It is equal to brick when it comes to fire resistance, to the degree that some insurance companies give discounts for homes with fiber cement siding. It requires little in the way of upkeep and needs repainting only once a decade or so. 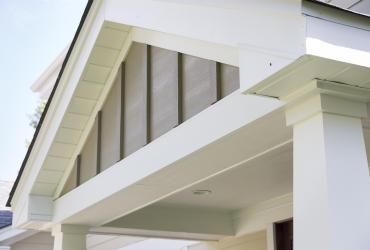 James Hardie, the premier manufacturer of fiber cement siding, offers a 30-year warranty, which tells you something about its longevity. And while the cost of fiber cement is higher than that of vinyl or even cheap wood, it still costs less than high-quality cedar shingles would be. 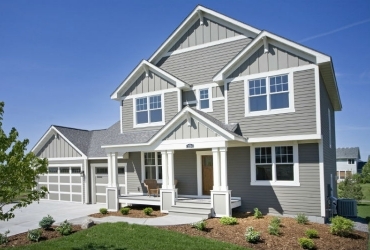 Fiber cement siding mimics the appearance of painted wood well enough to fool most people from the curb. It comes in a variety of colors and styles that fit in—or stand out—in any neighborhood, including those with older or historic homes. 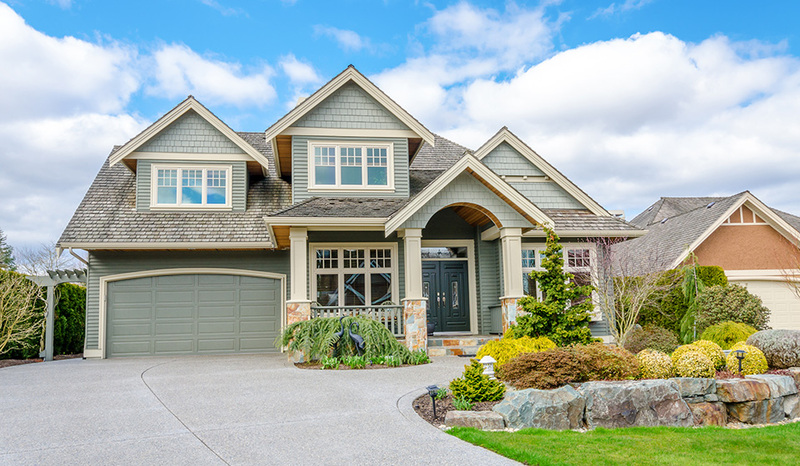 Less time spent on maintaining your siding means more time for other projects that boost your home’s appeal, whether that’s working in the garden or refreshing the interior. If you really want that natural, unpainted wood look, choose cedar. While fiber cement can absolutely look just as attractive as painted wood, it can’t match the appearance of lightly stained or untreated cedar. It will never transition from a rich, warm brown to gray over time, giving you that Cape Cod or rustic farmhouse appearance. If you want the safest option in all kinds of weather, choose fiber cement. Whether you’re concerned about fire, wind, hail, or rain, fiber cement is safer and longer-lasting than cedar or any type of wood. If your historic district requires wood, choose cedar. Out of all your wood options, it’s your best bet. If you’re looking for siding that isn’t an ongoing project, choose fiber cement. Cedar is beautiful, but it requires constant upkeep. They need to be kept relatively moisture-free, re-stained or re-painted every couple of years, and any water-damaged or rotted shingles will need to be found and replaced as quickly as possible. Fiber cement is more resistant to weather and mostly just requires occasional washing to knock off any accumulated surface debris. Now you know what you’re looking for. Do you know where to turn? When it comes to siding, The Siding King has your back. Get in touch for a free consultation and quote so that you can get your new siding project started on the right foot.